Outdoor mini high speed PTZ dome camera, SONY Super HAD II CCD sensor, 700TVL, lens 3.8~38mm, 10x optical zoom. Vandalproof high speed PTZ dome camera, 1/3" SONY CCD sensor, 650TVL, 3.9~105.6mm lens, 9pcs LEDs, 393~492ft IR distance, 27x optical zoom. 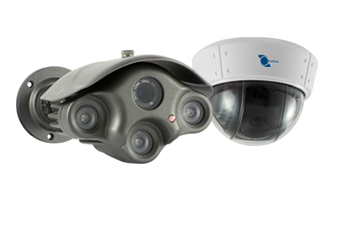 HD-TVI 1MP Dome camera, 1/4" CMOS Sensor, 24pcs LEDs, 65ft ~ 98ft IR night vision, IR-CUT Filter, AWB, AGC.